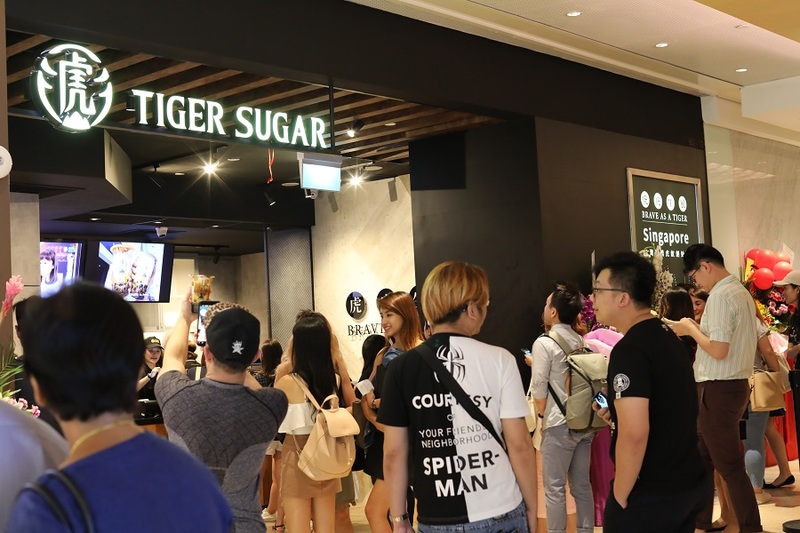 So Tiger Sugar 老虎堂 has also arrived in Singapore, at the basement of Capitol Singapore and Chinatown Point basement, with its 3rd store set to be at Orchard Paragon. 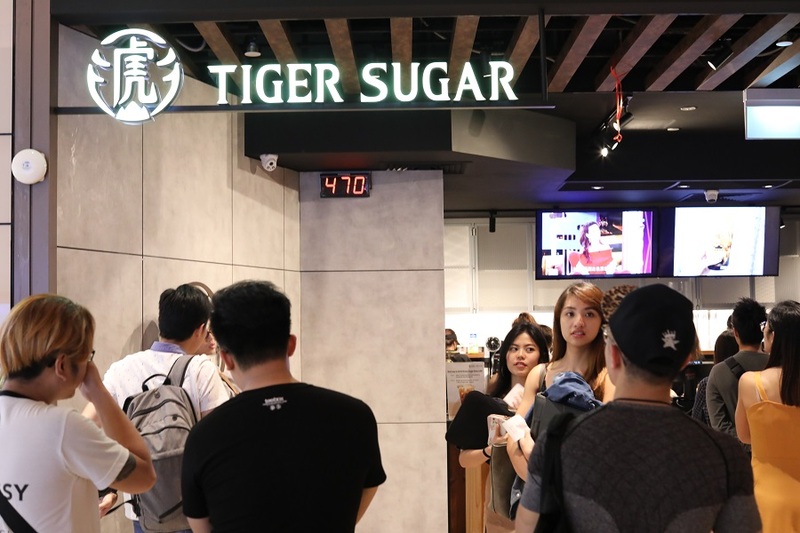 Less than a year since opening of first store in November 2017, Tiger Sugar has already garnered a large fanbase from Taiwan to Hong Kong. 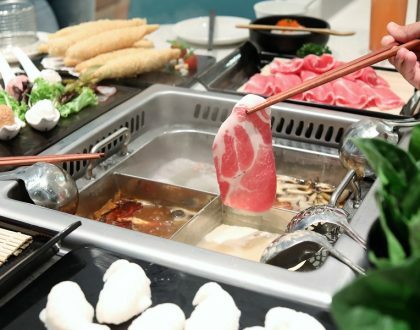 Many are willing to queue up even before the shop opens, in which the waiting time can be more than an hour. 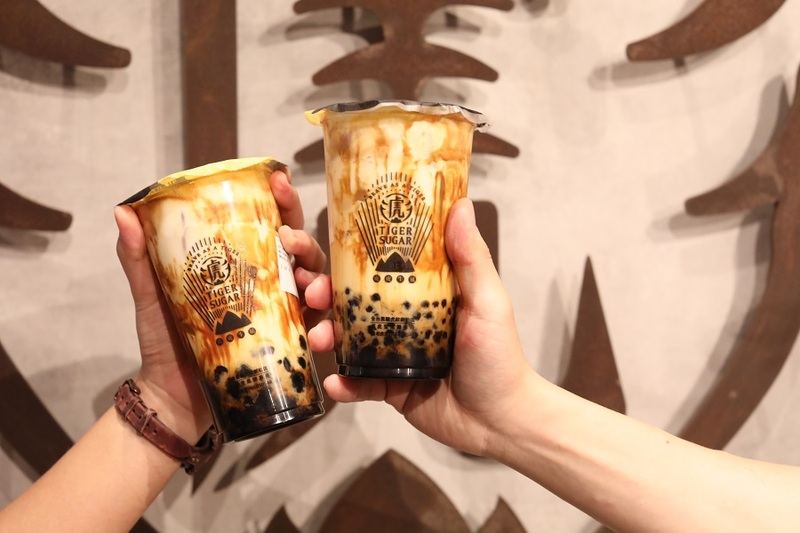 The “Tiger Sugar” name came about from the ‘tiger stripes’ formed when the dark brown sugar syrup interacts with the thick milk in the cup. 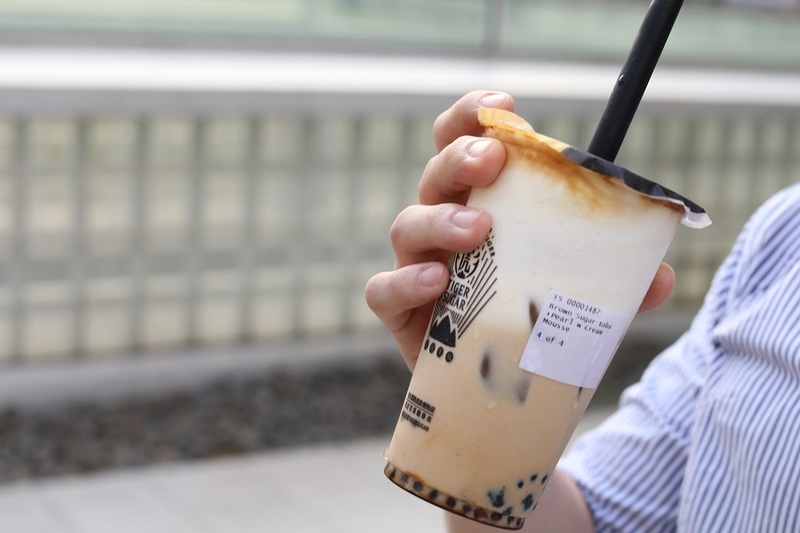 In fact, the word “tiger” has been used by many other tea brands to name their Brown Sugar Milk drinks. No other more creative ways, ah? The story of my life: I spent a good deal of time queuing (again) for bubble team, this time slightly more 60 minutes. Gosh. With that said, I queued during the opening week and the line has gotten a lot, a lot shorter. 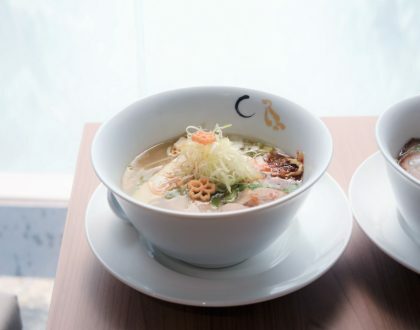 As for the consolation, the line was within air-conditioned premises (connected to the City Hall MRT basement exit) so it didn’t get THAT unbearable queuing. 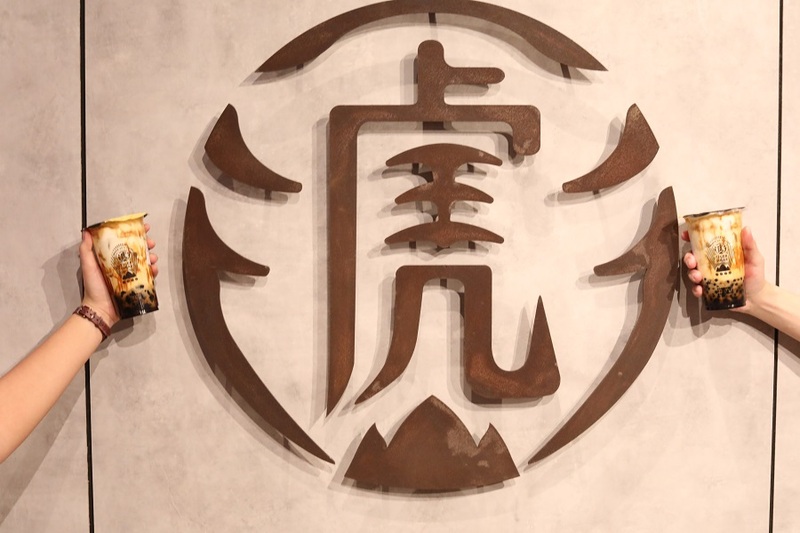 The Tiger Sugar brand do not prefer a complicated menu but rather focus making each drink by a series of quality controls in the process to bring out the taste of each ingredient. 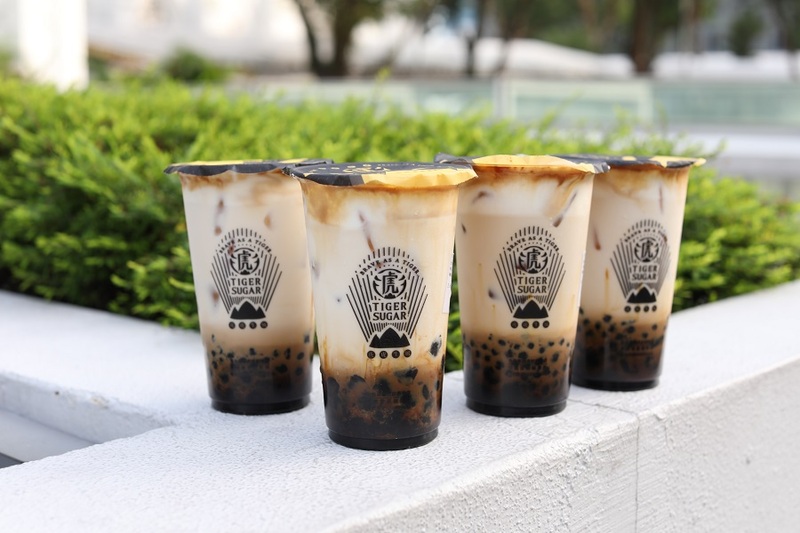 The main best sellers are the Brown Sugar Boba Milk with Cream Mousse ($5.30), Brown Sugar Boba with Pearls with Cream Mousse ($5.30) and Brown Sugar Pearl Milk with Cream Mousse ($5.30). 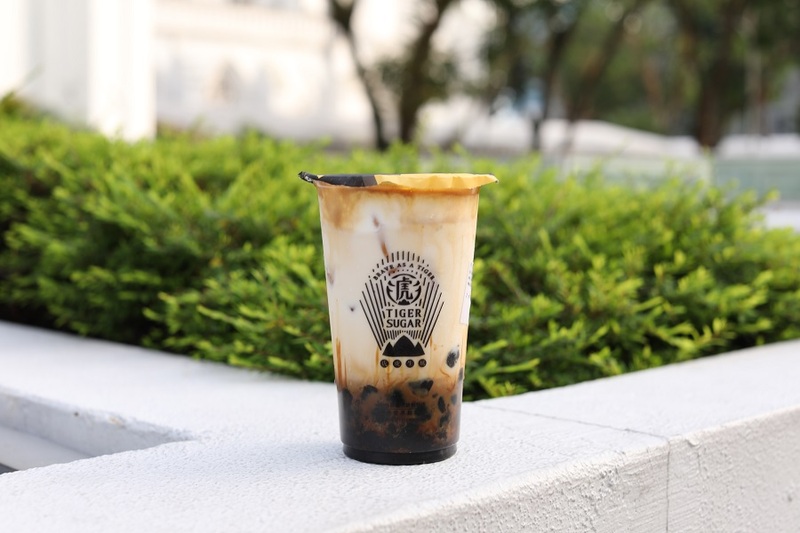 There are also Black Tea Latte ($4.30) and Green Tea Latte ($4.30) available. 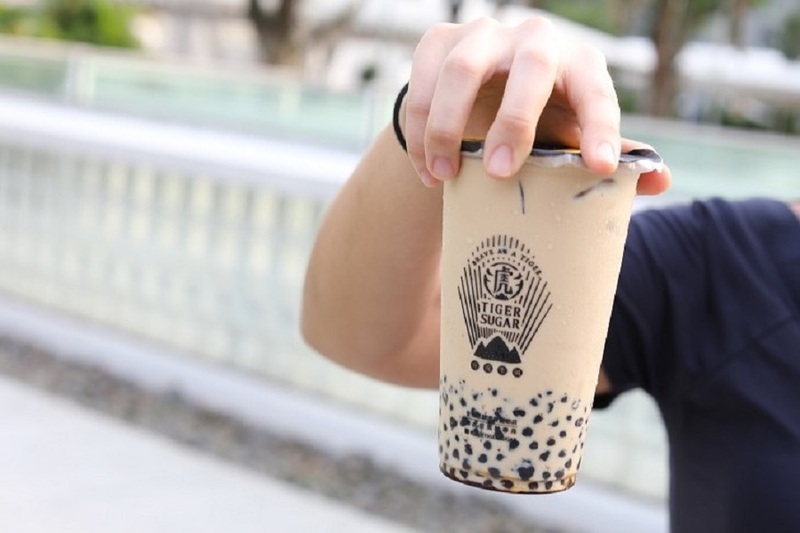 Boba are the bigger tapioca pearls, while pearls are the smaller ones. 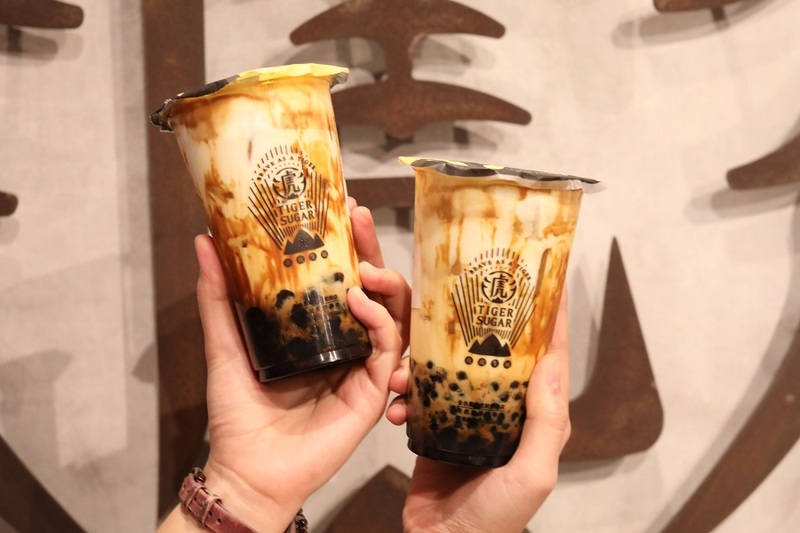 If you want to try both, get the mixture of both Boba and Pearls. 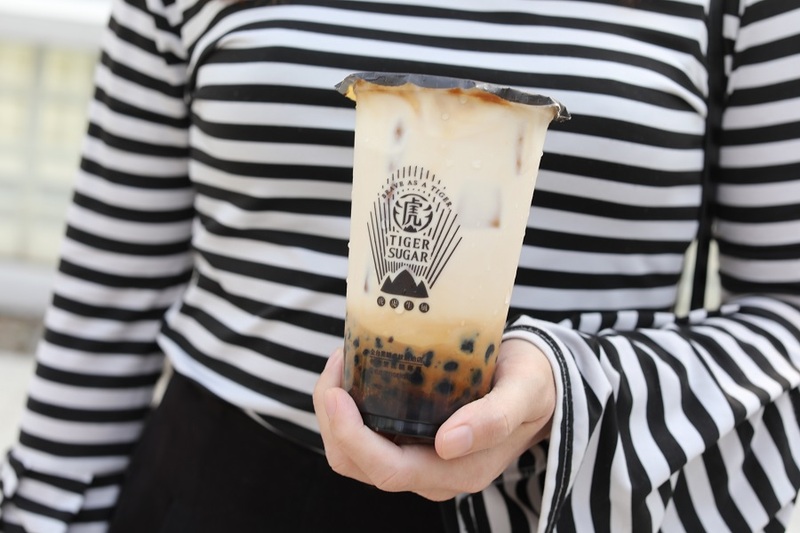 For instagrammers, when you get your cups, shoot them IMMEDIATELY as the tiger stripes would disappear within a minute. For those who take eternity for your selfies, then good luck. Shake the cup for a total of 15 times to get the brown sugar mixed in properly. Why 15? Because Tiger Sugar said so. Just as a note: Shake BEFORE you insert the straw in, because I have seen someone do that after putting in the straw and wondered why her dress had all those white stuff. To me, the best part of the drink was the caramelised sugar, the distinct fragrance hitting you before you even start drinking. It was as if gula melaka has been bottled up into aromatherapy fragrance. 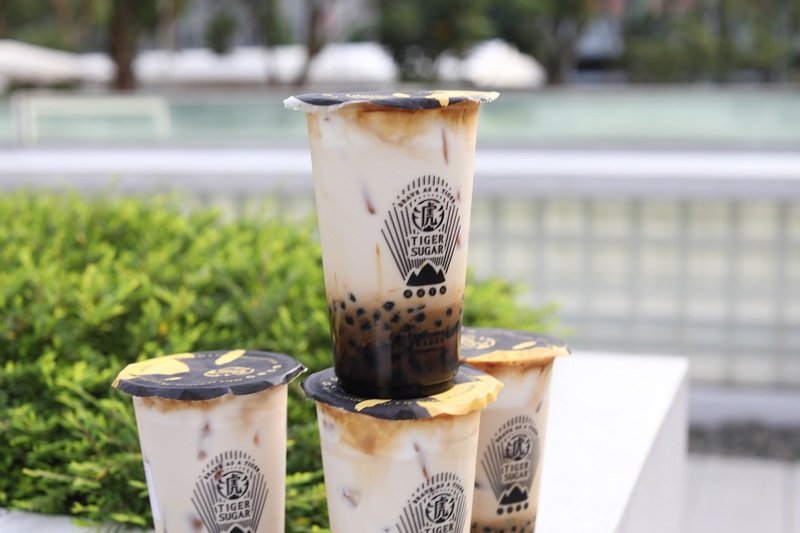 Four types of Taiwanese brown sugar are incorporated to make the syrup. And for that amount of syrup included, it was surprisingly not THAT sweet, such that you won’t feel jelak (rich) finishing the whole cup. The milk was creamier than usual, as higher fat content Meiji Milk was included. Also, the ice used is special whiskey-grade cubes so that they do not melt that easily and dilute the drink. As for the pearls, get the boba ones which had a chewier mouthful compared to the pearls. 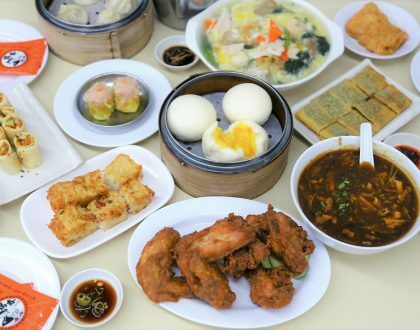 However, we thought they were cooked too soft, and lacked that QQ springy bite. As to whether I would queue this long again, maybe not. 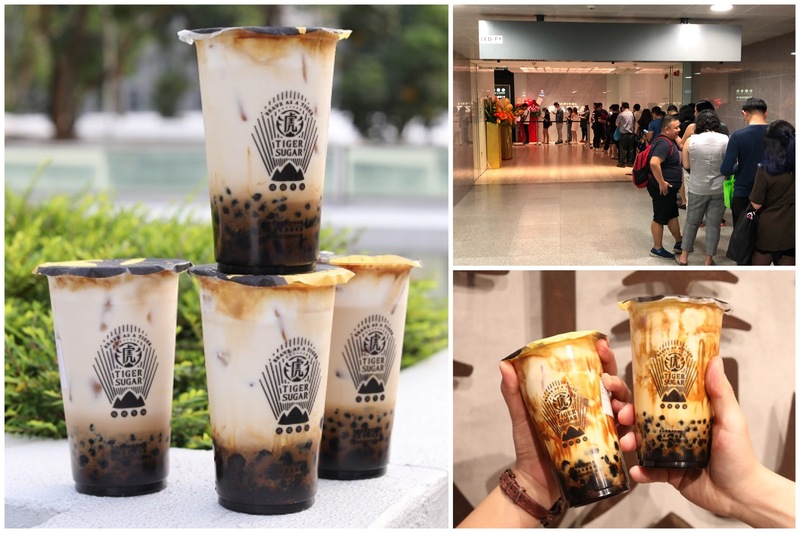 You know lah, as with all the other bubble tea shops, the queue will subside in time to come – it is just when. 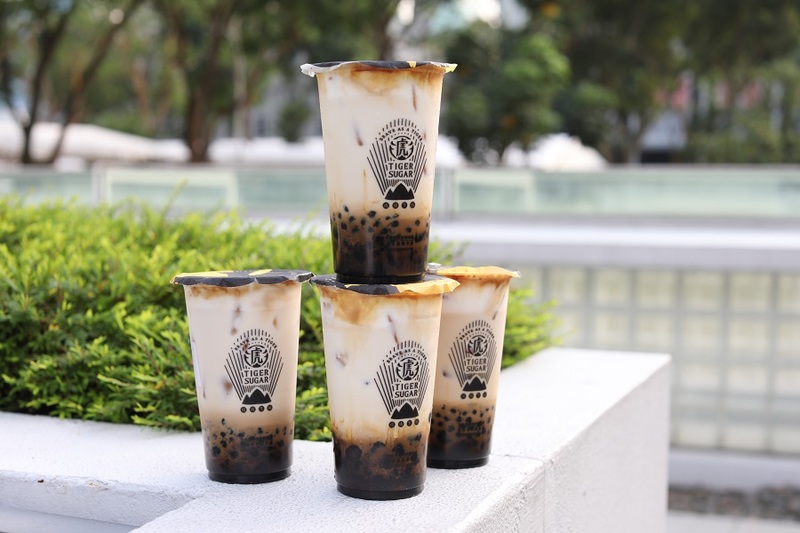 Look out for the new Tiger Sugar branch at Chinatown Point on the 8th of December (Sat).